Though Hyde says the book was written “for people who practice art,” and even though the literary likes of Margaret Atwood, Zadie Smith, and David Foster Wallace have found it inspirational, so have intrepid thinkers outside the arts, including Arlie Russell Hochschild ’62. She has used The Gift as a text in her sociology courses and acknowledges that Hyde’s concept that the spirit of a gift continues through time has been important in her own latest work The Outsourced Self. 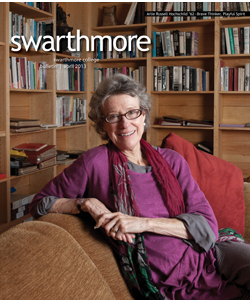 The Gift was in fact a gift to the Swarthmore campus this winter. To promote an intentional community of scholars (another idea championed by Hyde), the Institute for the Liberal Arts offered free copies to anyone who wanted to participate in a reading group. 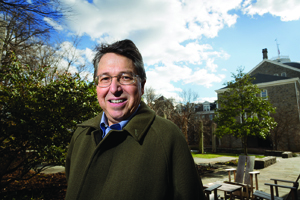 About 20 students, faculty, and staff read the book and met for a 90-minute discussion in late January, a week before Hyde gave a talk sponsored by Phi Beta Kappa.